2019 509 Revolver Goggle Black Fire Photochromatic Free Shipping!!!!! 2019 509 Revolver Goggle Black Fire Photochromatic Orange To Blue Free Shipping!!!!! 509 is proud to announce the launch of the most highly technical goggle to ever hit the snowmobile industry. Introducing the all new Revolver snowmobile goggle. 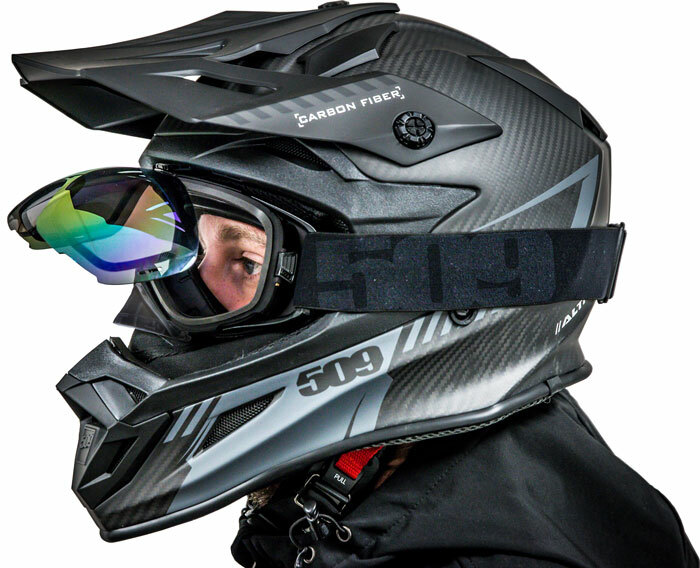 The Revolver is the next evolution in snowmobile goggle technology. Meticulously crafted from the finest materials, no expense was spared in the development of the Revolver. With a decade of snowmobile goggle experience, we went back to the drawing board and turned our “dream” goggle into reality. The Revolver features a two part, dual density frame design. 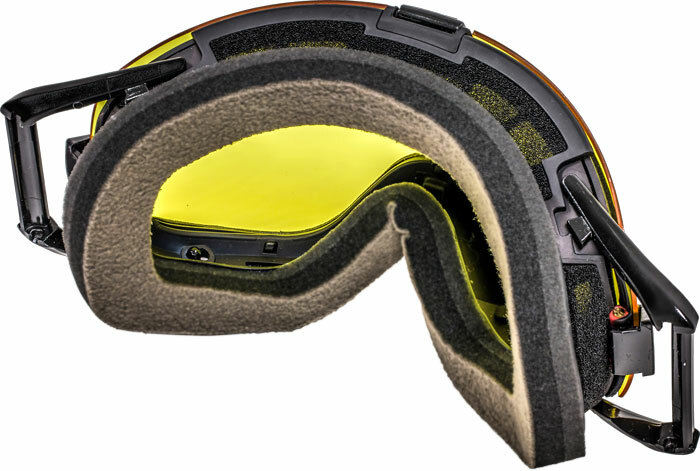 The inner frame is made from a flexible material that when combined with our triple layer face foam, comfortably contours to your face for a perfect fit. A rigid outer frame is secured to the flexible inner frame creating a durable mounting surface for the pivot lens. The face of the rigid frame is lined with a moisture blocking PORON® gasket that ensures the pivot lens has a moisture tight seal to the frame.